Square Enix might be trying to blame its financial woes on "slow sales of major console game titles in North American and European markets," but it should seriously stop and look at its home country in the meantime. The latest game in their flagship franchise, Dragon Quest X, has just hit the market with an appalling 33,302 units shipped. Considering how each game in the series easily cracks a million upon release, this is incredibly disturbing news for Square Enix, which can't even seem to depend on their Japanese franchises anymore. Many were hoping that sales would pick up after the Wii release of the game was greeted with only slightly better enthusiasm, but it just doesn't seem to be. The game is not Final Fantasy XI, a slow burning success which turned into Square Enix's most profitable Final Fantasy title. The MMO market was booming and new at the time of its release, and most were aboard for the ride. Now, it's overly crowded and slowly dieing out. This is an experience that was too slow in the making. What went wrong? Absolutely everything. 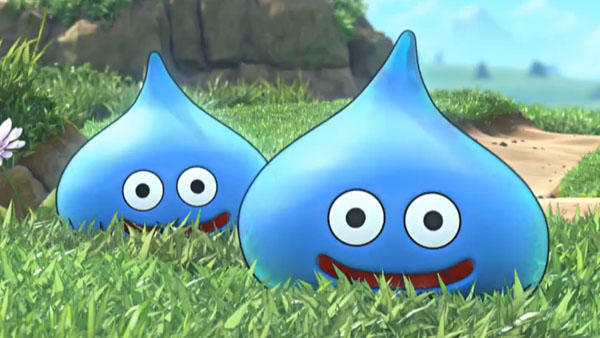 Nobody wanted a Dragon Quest MMO, which required online play and a subscription fee. Dragon Quest IX had online elements that proved to be wildly popular with Japanese, but an offline mode and story was always guaranteed to players, and the online side of the game did not require a subscription. To date, Dragon Quest IX is the best selling game in the series at over 5.67 million sold worldwide. Another poor error in judgement was releasing the game on a console, a market which is is all but dried up in Japan. The last five years have proven that Dragon Quest and JRPGs in general will see far better sales figures if they are sent to a portable device, like the PlayStation Vita or Nintendo 3DS. The Wii U is not a success so far in Japan, but the Nintendo 3DS is. The Nintendo 3DS Dragon Quest VII remake came out swinging in typical fashion and crushed the 1 million mark in under a week. Dragon Quest X did not. The only glimmer of good news from this story is that the release was able to push the Wii U above the PlayStation 3 is sales for the month. Square Enix needs to stop pointing the finger at Western markets and seriously take a look at some of their remarkably poor internal decisions as of late if it wants to survive this mess. This company is a far cry from the Square and Enix of the olden days, and the cracks in the dam are finally beginning to show. As for Dragon Quest, I can guarantee that Dragon Quest XI will be coming out for the Nintendo 3DS and will feature some form of free online multiplayer. Square Enix can't be dense enough to make the same boneheaded mistake twice. Can it?